The dynamic, bold looking roadster offers a great tuning platform for motorcyclists who desire something special. Our sporty and lightweight slip-on systems offer a great balance between price and performance and represent the first step in the exhaust system tuning process. Power & Torque: The Akrapovic slip-on system will deliver a big power and torque increase from a simple modification. Power output is smoother over the entire rpm range. We measured a max. power increase of 3.0 HP at 10400 rpm. The torque is increased over the entire rpm range, which is exceptionally useful for more comfortable and smooth riding. 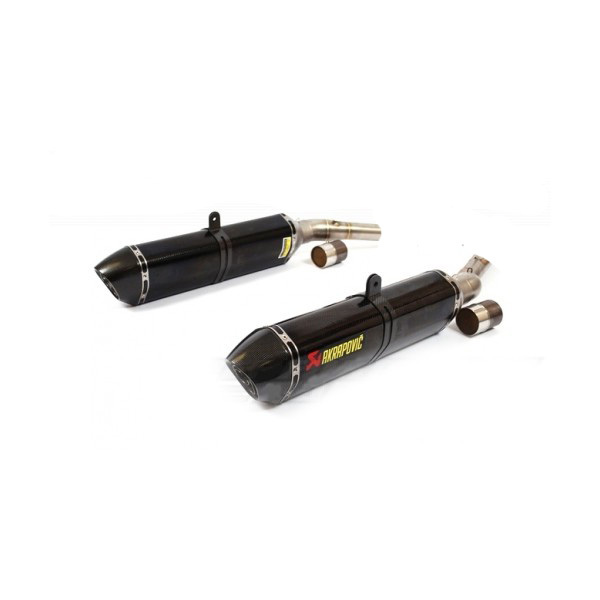 With our slip-on systems you will also save 7 kg in comparison with the stock mufflers.